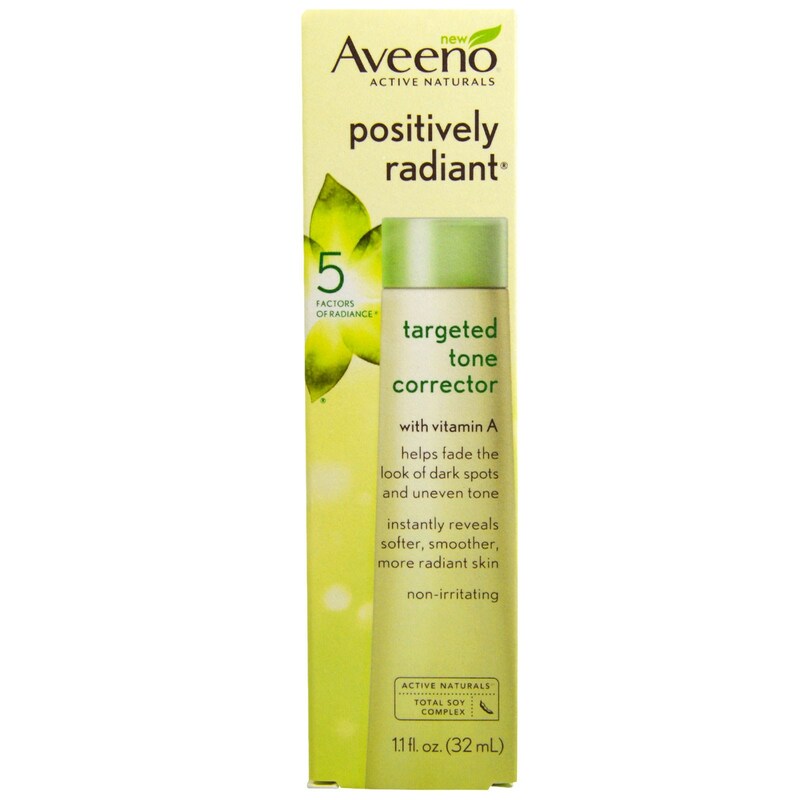 Positively Radiant Targeted Tone Corrector is clinically proven to fade the look of dark spots and uneven tone after just two weeks, with continued improvement over time. This effective, yet gentle formula combines Active Naturals Total Soy Complex - one of nature's most effective dark spot and uneven tone fighters - with Vitamin A to reveal softer, smoother, more radiant skin that lasts. Works for all ethnicities. Discover nature's secret for radiant, healthy-looking skin that lasts. 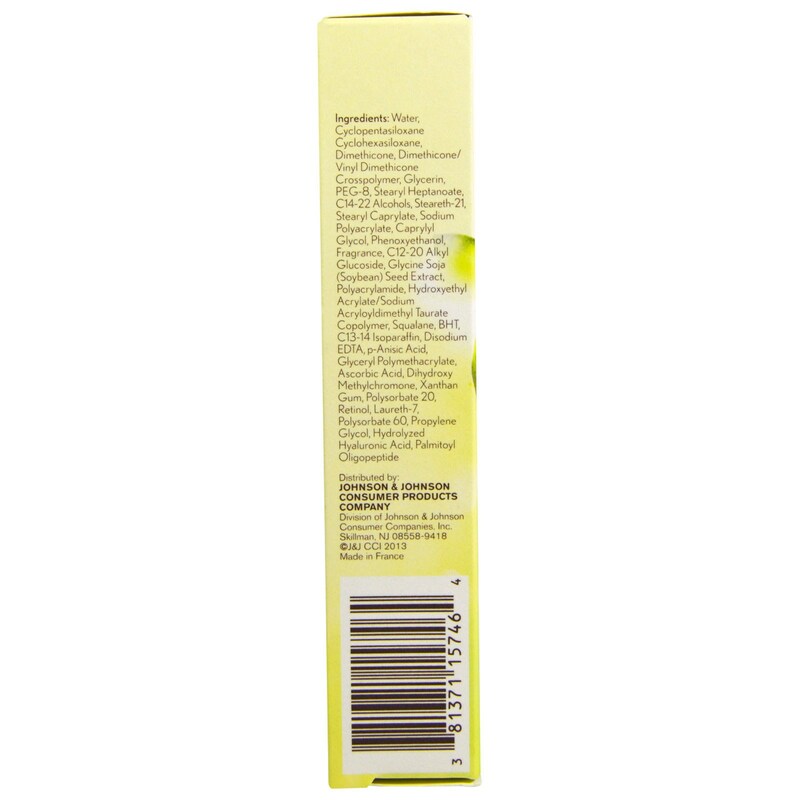 Long known for its health benefits, the Aveeno brand has harnessed the power of soy to reveal skin's natural health and beauty. After years of research, scientists for the Aveeno brand created Total Soy Complex by finding a unique way to process soybeans to retain their naturally active benefits. 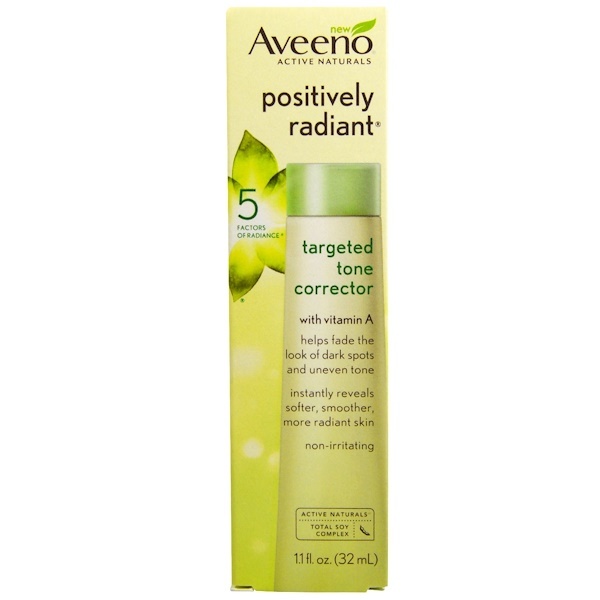 The amazing benefits of Active Naturals Total Soy Complex in Aveeno Positively Radiant targeted tone corrector include evening tone and texture for radiant-looking skin. 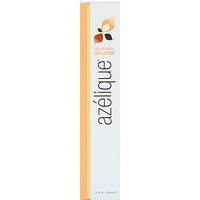 Apply to dark spots and areas with uneven tone in the AM and PM before your moisturizer. To help prevent future spots and uneven tone use with Positively Radiant Facial Moisturizer w/Broad Spectrum SPF 30. Water, cyclopentasiloxane cyclohexasiloxane, dimethicone, dimethicone/vinyl dimethicone crosspolymer, glycerin, PEG-8, stearyl heptanote, C14-22 alcohols, steareth-21, stearyl caprylate, sodium polyacrylate, caprylyl glycol, phenoxyethanol, fragrance, C12-20 alkyl glucoside, glycine soja (soybean) seed extract, polyacrylamide, hydroxyethyl acrylate/sodium acryloyldimethyl taurate copolymer, squalane, BHT, C13-14 isoparaffin, disodium EDTA, p-anisic acid, glyceryl polymethacrylate, ascorbic acid, dihydroxy methylchromone, xanthan gum, polysorbate 20, retinol, laureth-7, polysorbate 60, propylene glycol, hydrolyzed hyaluronic acid, palmitoyl oligopeptide. For external use only. If product gets into eyes rinse throughly with water. For sensitive skin, slight redness may appear or tingling sensation may occur; in this case, allow additional time between each application.